Growing up I had two songs that I vividly remember loving and blasting out of our stereo. Naturally, one came from my dad’s favorite musical act and the other came from my mom’s. One was ‘If You’re Gonna Play In Texas (You Gotta Have A Fiddle In The Band)’ by Alabama, the other one was ‘Friends In Low Places’ by a man named Garth Brooks. I chose one of these two to be my favorite musical act and that artist fully came out of a halftime retirement today. Garth Brooks is the reason that I love country music and more than likely the reason I love music as a whole. Everyone has, or at least I hope they do, an artist that they can connect to on some weird high level. I feel I’ve had that with multiple artists, but never for so long and as profound as Garth Brooks. Music always connects itself with a memory. When you hear a certain song you are instantly zapped right back to the date and time when something major went down while that song was in the background. I have those same feelings with Garth Brooks albums. Not just singles, but when I think about a whole damn collection I am brought back in time. Double Live? Dear Lord, I remember my mom picking me up from daycare and presenting to me a two-CD set of Garth Brooks music. I remember being fascinated by the multiple covers Garth had and that the one that mom picked up had the flags of all the nations Garth had visited on his world tour. I thought that was so cool. Scarecrow? New albums usually drop on a Tuesday and back then Mom still bowled on Tuesday nights, I was in bed already by the time she got home so I woke up early the next morning to listen to Garth’s latest endeavor while eating breakfast. The first line in the album is ‘I can hear the highway calling…’ which sure sounds a lot like ‘I can hear the highway, Collin…’ which was pretty awesome to a 13-year-old. Skipping ahead to his latest release of Blame It All On My Roots: Five Decades of Influences, I went to work early that day so I could swing through Wal-Mart so I could play songs from it on the radio that afternoon. I kept the receipt in my wallet for months because I was still shocked how cheap the thing was. I could go on and on about Garth, because I’m really just happy to have him back. I loved Garth ever since I can remember, but I’ll admit that I didn’t always claim him as my favorite artist. It was weird too. It’s hard to explain to people that your favorite artist is going to come back, but not for ten years or so. I had love affairs with The Beatles and Eric Church and Bruce Springsteen and I love them all still very much, but the man, my man, is back. It’s expected In November that Garth will release his first new material that ships to every store since 2001’s Scarecrow and I’ll be there to get it. I counted down the days until Eric Church’s The Outsiders, I got Springsteen’s High Hopes the day it came out, but I hope I can get some sleep between now and November. Garth can’t come fast enough. 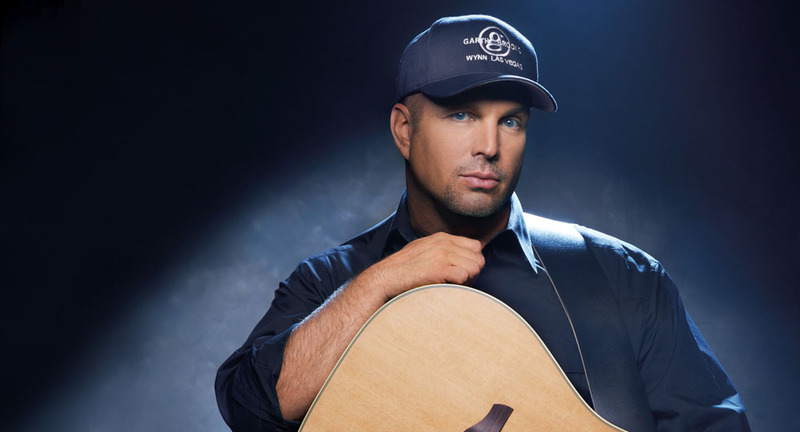 Welcome back, Garth Brooks AKA my favorite artist.